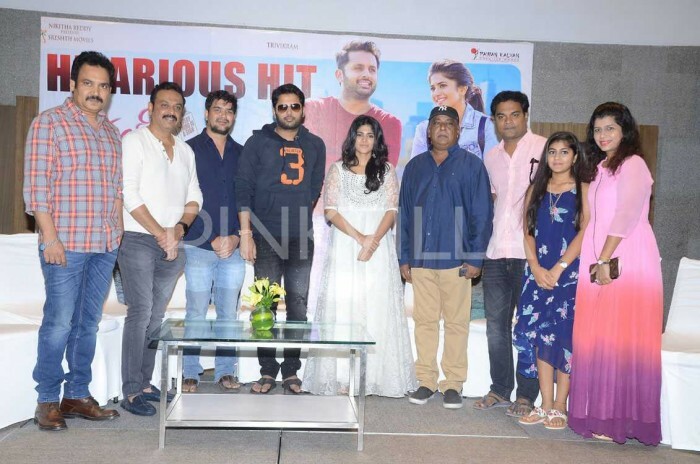 The makers gathered in Hyderabad and interacted with the media to celebrate the success of the film and Nithiin thanked the media and audiences for the support given to the film. Actor Nithiin starrer Chal Mohan Ranga released on April 5th, 2018 worldwide and has received mixed response from audience and critics. 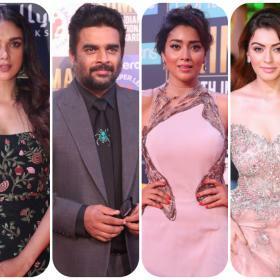 While few felt that the film fails to keep the viewers engaged, many have said that the film is hilarious at few points making it a watchable affair. 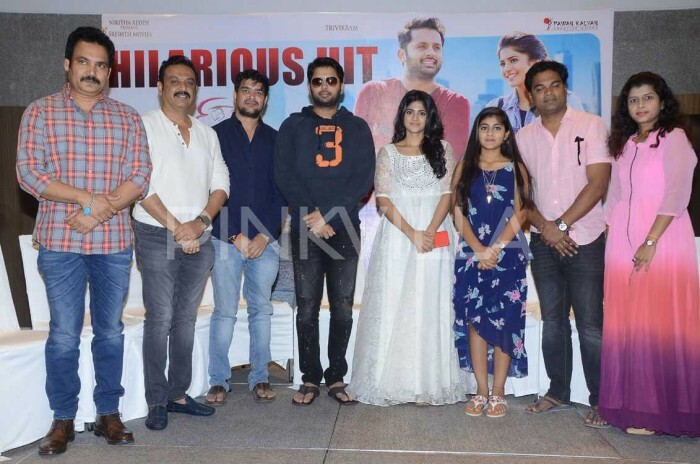 Directed by Krishna Chaitanya, Chal Mohan Ranga stars Nithiin and Megha Akash in the lead and is a romantic comedy narrated in a new-age style. Chal Mohan Ranga is produced by Pawan Kalyan and Trivikram Srinivas jointly and the story was penned by the latter. 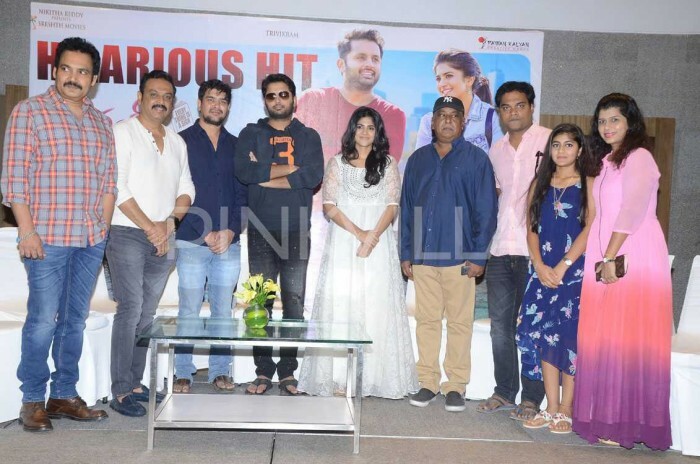 The makers gathered in Hyderabad and interacted with the media to celebrate the success of the film and Nithiin thanked the media and audiences for the support given to the film. “I have been in films for 16 years and have done 25 films so far, and I would like thank everyone including the media for all the support I have always been given. I will give my best to try and keep entertaining everyone. Chal Mohan Ranga is basically simple story but told in a hilarious way. I feel that the comedy part has worked out really well. The response the film is receiving from all over including the US is overwhelming. I watched the film in theatre and I could see the audience bursting into laugh in many scenes. 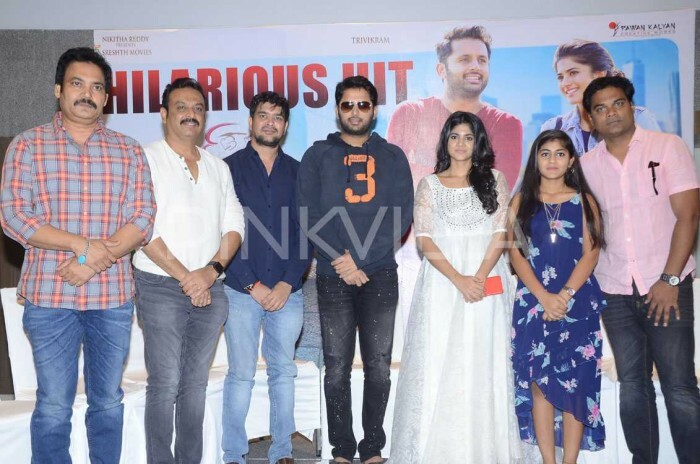 I would give that credit to my director Krishna Chaitanya who has written such humorous lines,” said Nithiin. Megha Akash, the lead female actor, kept her speech pretty simple and thanked the makers for the opportunity. “Chal Mohan Ranga is very special to me and I feel honoured to be a part of it. I would like to thank a lot of people including my producers, director and hero Nithiin for this oppurtunity,” said Megha Akash.